Nicholas Lore is a bit of a renaissance man. In his younger days, he was a denizen of Greenwich Village, soaking up the sixties with his boarding school roommate John Sebastian, founder of folk-rock band The Lovin' Spoonful. He studied psychology, Eastern philosophy, anthropology and literature. Lore later worked as a CEO, an entrepreneur, a manufacturing plant manager, a psychology researcher, a blues musician, an artist, a well driller, and a paper boy. "But I still had no idea what to do with my life," he says. "Work was just a way to make a living." 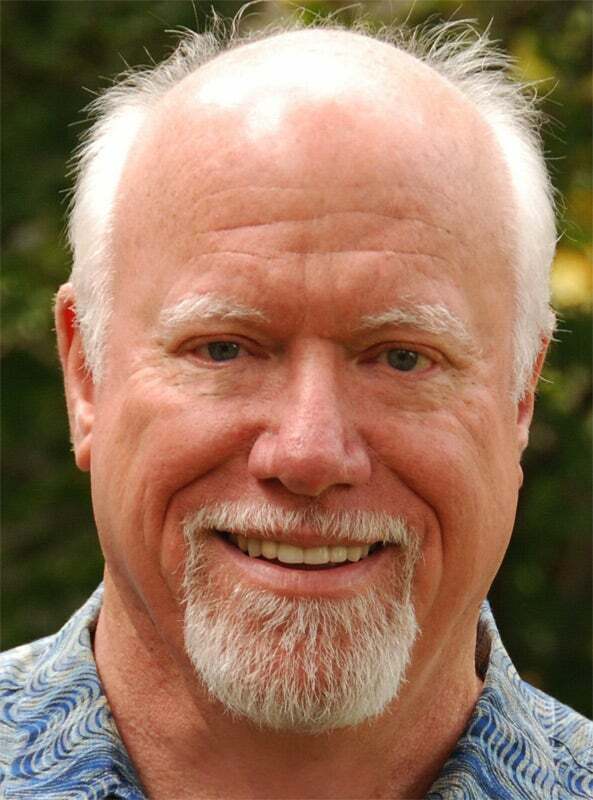 In 1981, Lore founded the Rockport Institute, developing a pioneer program in the career coaching field, and for the last three decades he has guided thousands of clients -- from all walks of life and ages -- through the steps of choosing a new career, an entrepreneurial path, or just finding a better-fitting job in their present field. "I haven't worked a day in my life for over 30 years," Lore, now 67, says with a chuckle. "I have been having fun doing something I love to do and am absolutely passionate about. It is an elegant match with me." 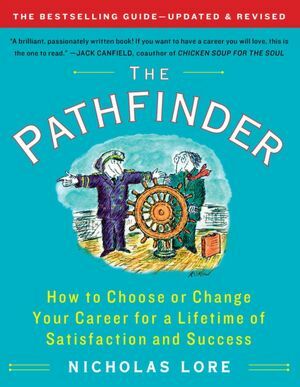 Lore recently released an updated edition of his 1998 bestselling book, The Pathfinder: How to Choose or Change Your Career for a Lifetime of Satisfaction and Success. In an interview with SecondAct.com, he talks about his eclectic career, career coaching and how people can really find jobs that fit. SA: What are the biggest mistakes people make when it comes to changing careers? NL: People don't put in nearly as much time and attention to it as they really need to. The average man spends more time deciding what kind of car to buy. They don't treat it like the wonderful big question it is. The second thing is that we listen to the little voice in our brain that is always trying to minimize risk. It is just biology at work trying to keep us safe. The brain doesn't like risk and does its best to talk you out of anything risky. It wants to instantly return you to your comfort zone. SA: How hard is it to start a new gig when you're seen as an "older" worker? NL: Job search is difficult for everybody. The ways most people go about it don't work very well because essentially people want to hire people they know or someone they trust. They are not necessarily looking for the best person. They are looking for the person who is going to fit in. The secret is to make it personal. Forget all the jobs that are advertised now. You are probably not going to get one of those jobs. They are always going to hire the younger guy -- always, always. And so when you have some unusual circumstance, which could be age or other things, too -- you are green or 10 feet tall -- whatever it is...you have to make the case why you are the person who is going to both do the job brilliantly and fit in. SA: What's new in your revised book? NL: Nearly half of the book is new, mostly better ways of helping readers design a career that fits perfectly. After 31 years of career coaching, our work still constantly evolves. The material has also been tweaked based on amazing new neuroscience research. We now know a lot more about how the brain works, and that allows us to create more powerful ways of helping readers look at their lives, their talents, their personalities, what's important to them, and what work will be the best fit. SA: You call your coaching holistic. How so? NL: I've always thought it was important to look at a lot of different parts of a person and have clients make choices that fit the whole person because if you get one important piece of the puzzle really wrong, it can ruin your whole new career. The talents people have are multiple, and they are like instruments in a band, so you have to know what instruments you have in your band, and you have to know how to play those instruments together in harmony. SA: What's the key to your coaching program? NL: The great majority of people we work with are intelligent, complex -- people in midcareer who don't want to put up with waking up in the morning going "Uuhhh...this again." The first thing to do is have a client look for clues. They become a career detective looking for clues about the fit between themselves and the working world. SA: What is the best way to do that? NL: To find clues, look at your life and what turns you on, what excites you, what matters, what you do well, what you care about -- your MO in terms of doing things. That's why I think it is very important to have a broad perspective and really examine everything you can find that may have impact -- even what you watch on television, what song lyrics mean something to you, what you don't like or do well in your present work. Everything is useful. Jot it down. It takes investigation, self-observation. SA: How important is passion to finding a great job? NL: It's a clue. There are plenty of things, for example, I am passionate about... like sailing, but I wouldn't want to be a charter boat skipper. There are things to be learned from that, though. As a clue, what I learned is when you're sailing, you're making hundreds of little decisions all the time. I like constantly problem solving. You need to put together a clues list that becomes a definite components list and then turns to career ideas.